UKEssays Reviews- Is UKEssays is fake or reliable? UK Essays is a Nottingham based essay writing company. You’ll see a welcome note with a tagline - “Where the world’s smartest students come to learn” on the first page of their website. So, that’s a hub for the smartest kids huh? I wonder if they are allergic to average students like me? When you go through their website, you’ll find out that UK Essays has been in the writing business for over 14 years now. They boast about their team of expert writers who are said to know everything that is needed to draft accurate, error-free and high quality essays. UK Essays doesn’t display a clear pricing structure for its writing services. So, you can’t get a clear idea of the amount you’ll have to pay for your essay. To know the actual price for the service that you’ll be availing, you have to use the price calculator provided by UK Essays. One of the primary reasons why UK Essays is not that famous among the students is that its services are costly for a majority of the students. What makes the things worse is that the website doesn’t offer any discounts. So, there’s no way you can reduce their sky-high prices. There are n number of writing service providers that provide far better services at a much lower price and offer enticing discounts as well. In other words, a student can’t think of saving money when availing essay writing services at UK Essays! If you check out their FAQs section, it says that you are required to pay 50% of the amount when placing the order as that’s what they say is needed to secure a writer to do your essay. I don’t understand what’s the case with UK Essays hiding just about everything! They do not provide a clear idea of anything from prices to content quality to payment options. None of the payment options available has been mentioned on the website. You have to dive into their FAQs section again. UK Essays allows you to either pay via their debit or credit card online (Sage Payment), PayPal or Bank Transfer. However, they do not accept American Express. Unlike their competitors, UK Essays does not offer 24/7 customer support. The website doesn’t even display full contact information. All that you can use to reach out to the company is a phone number that is displayed on the header of the website. You’ll also get an idea of the timings to get in touch with them. This indicates that the students can't expect instant support at UK Essays. Moreover, the fact that you have to wait for someone from the customer support team to respond further indicates a lot of confusion and delays in the desired work. Interrupted customer service can be a bit troublesome for the students even if the customer support agents are efficient enough. I couldn’t find their revision policy, but they have what they call as “amendment period”. In case, your essay is not up to the point, you are supposed to register an amendment request with UK Essays, using your online account. UK Essays will then contact the designated writer and arrange a delivery date of your amended work. However, this amendment period varies for the “elite” and “non-elite” members. The standard amendment period is seven days. If you place your order using the Elite service, you will be provided with a more extended amendment period of 3 months. So, how your amendment request will be treated, depends upon whether you are an “elite member” or not! UK Essays claim that all their work is thoroughly checked for plagiarism using Viper Plagiarism Software, before being delivered to assure that every student receives a unique copy. They are so confident, or I should say "overconfident" about their work being plagiarism free that they are ready to pay out £5,000 to anyone who comes up with an order that contains a certain amount of piracy. As I mentioned earlier, this is nothing more than a clever tactic to convince the students to avail their writing service. There sure are people who have complained about their essays containing plagiarized content. Now, whether they were paid out the said amount or not, remains a mystery! Just like their unbelievable £5,000 - no plagiarism guarantee, they have a “Timely-delivery” guarantee as well. As per the guarantee, you don’t have to pay for your order if it is even a minute late! So, do they keep their words? Well, reviews like these tell a completely different story! High quality is yet another false promise that this fraud website makes to all its customers. Well, I don’t blame the team at UK Essays because that’s what all the businesses do. UK Essays promises to deliver high-quality essays as any other essay service does! They boast about their team of 1000+ writers who are determined to go above and beyond to provide quality essays to the students but that doesn’t necessarily mean they provide the same. 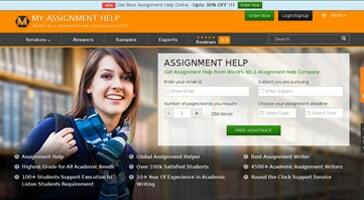 You can sure avail writing services from UK Essays if you don’t care about your money. Their writing services do not fall under a “student-friendly price category”. All their services are quite expensive and the quality of their work is nowhere around “great”. They provide average level essays. Moreover, they don’t let you communicate with the designated writer, hence, making way for a hassle. All I can say is, you don’t need to waste your money when you can actually save a considerable amount and still get better quality essays written somewhere else. This pathetic assignment writing service has the worst customer support of all. They don’t know how to talk to their customers! I would instead do my assignment myself rather than paying for one with content copied from some academic site! Never trust these people. All their promises are just to lure the students in need. They couldn’t even fulfill their promise of timely delivery, leave alone providing a quality assignment! They can only boast about “high-quality” assignments. In reality, the assignments that they provide are nothing more than garbage!